Pizza is a dish everyone loves, right? 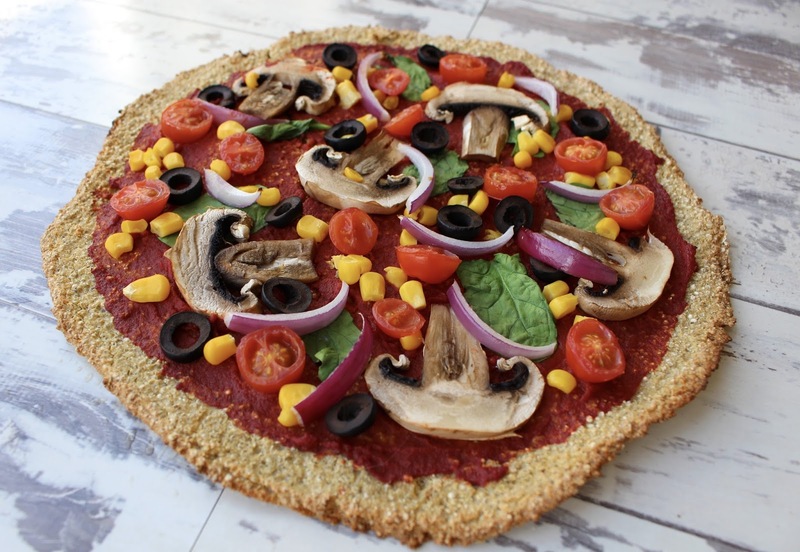 It's the ultimate Friday night meal and delicious comfort food but traditional pizza is normally full of rubbish ingredients that leave us feeling bloated, sick and sluggish...it's also not an option if like me you follow a gluten free, plant based lifestyle. However, that definitely doesn't mean we can't enjoy a yummy pizza at the weekends (or whenever you want to!) and the best part is it tastes amazing, it's easy to make and it leaves you feeling energised, satisfied and happy. 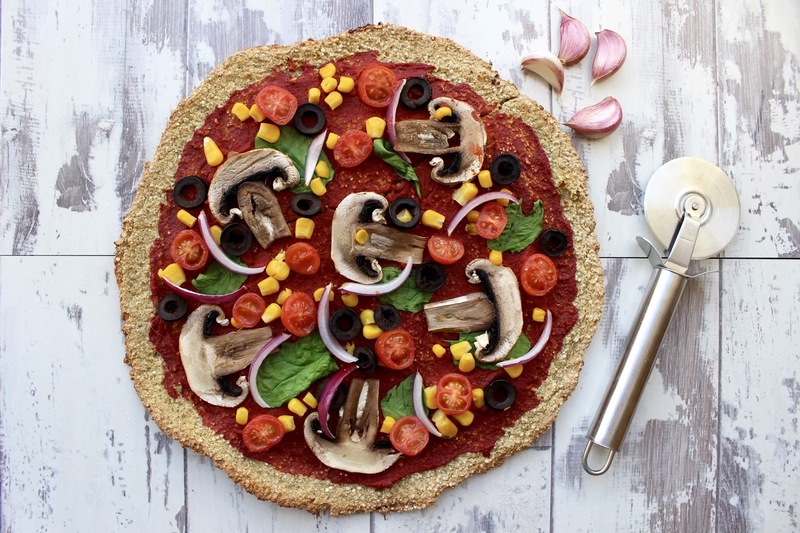 Say hello to the quinoa pizza base! This recipe is one of my ultimate favourites because not only does it taste out of this world but it's so quick and easy to make! 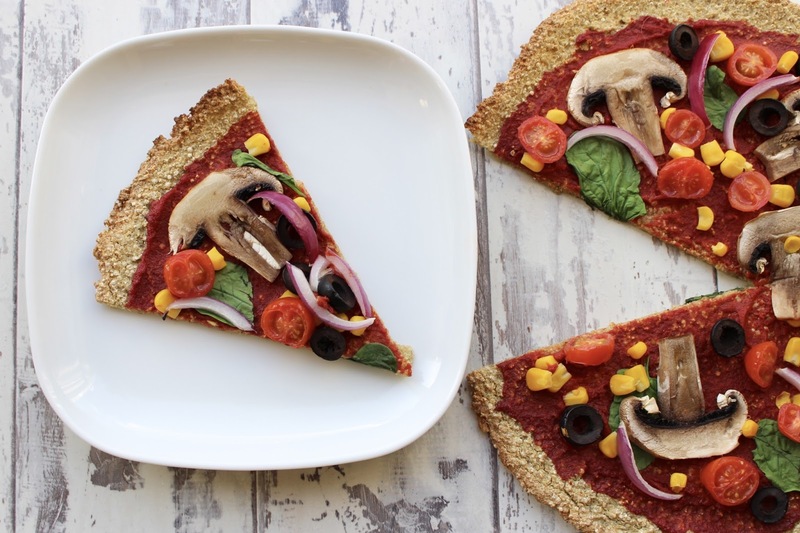 I've tried a few different pizza base recipes and they require a lot of time, patience and work whereas this quinoa pizza base can be thrown together in 10 minutes. It's also inexpensive and only consists of 4 ingredients - winner! Quinoa is one of my favourite grains, although technically it's a seed, as it's packed full of goodness like iron, protein, fibre and magnesium which will all do amazing things for your beautiful body. The iron will help you carry oxygen around your body, the protein is an complete protein source and it'll help you to build & repair tissue and cells as well as keeping your muscles, skin and blood healthy, the fibre is brilliant for digestion and keeps you fuller for longer and the magnesium is vital for energy production. On top of this quinoa is super easy for your body to digest! 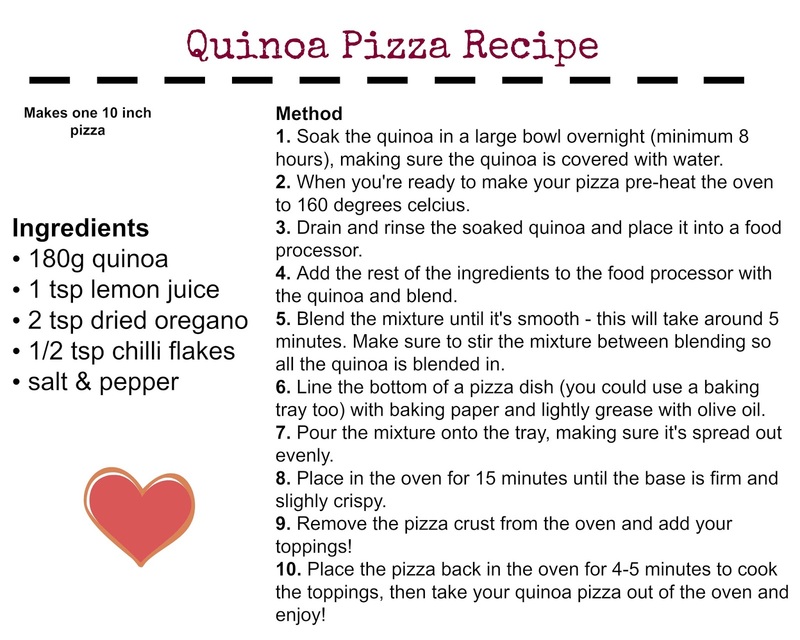 Quinoa is a grain, so you must soak it overnight (or minimum 8 hours) before making the pizza so it can be blended to create the best base! The end result is a thin, crispy yet slightly doughy on the inside crust that truly resembles a traditional pizza! I love to top mine with plenty of tomato puree, spinach, black olives, cherry tomatoes, sweetcorn, red onion and mushrooms - deeeelicious!